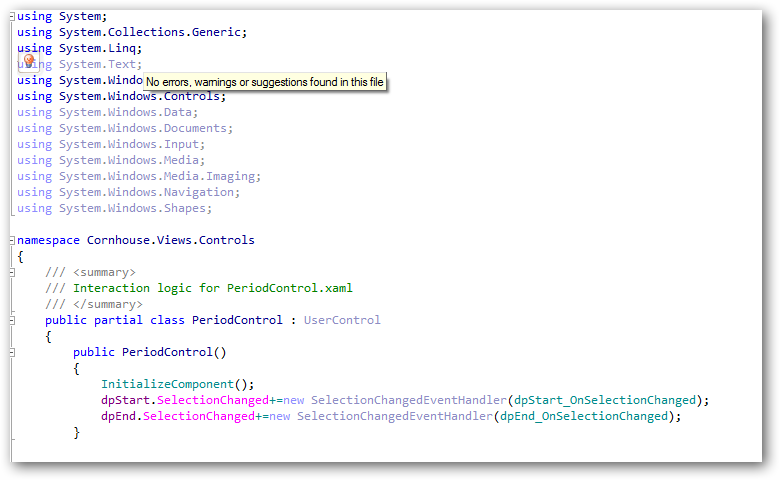 Resharper doesn't seem to be able to recognize a property that is referring to another property in the XAML. 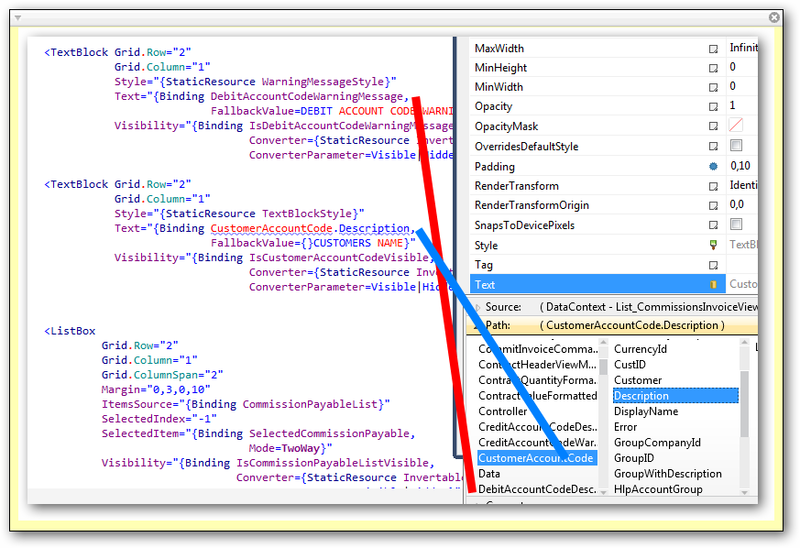 As you can clearly see in the attached screenshot, R# has correctly picked up "DebitAccountCodeWarningMessage" (the red line), but not "CustomerAccountCode.Description" (the blue line) "
Jeremy, have you tried recent R# builds? I've supported d:DesignInstance markup recently. Anyeay, it would be terrific to have a sample solution for investigation. The support for d:DesignInstance is brilliant! The really great thing is that I no longer have to do find in text files if I do a rename of the property from the class, and then go back and manually change the names of the property in the XAML, since it finds useage of the class properties in the XAML. All that's missing is a button to automatically generate random design data! I'll try to knock up a small project that illustrates the problem. However, there are still two things that are driving me nuts - Alt-PgDown in code behind takes you into the XAML and out of the code behind. 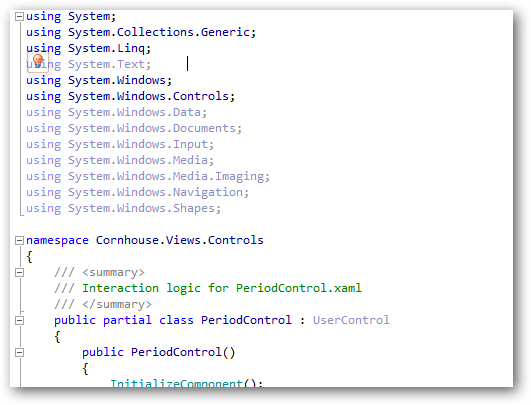 Alt-Enter on an unused field name in the XAML removes the entire property and not just the unused field name. It's a known problem with entire element removal, we will fix it by release. But I don't understand the thing with Alt+PgDn. If I am in the code behind (pic 1) and press Alt+PgDown- it takes me to (pic 2). It does NOT move through the code in the CS file. I Alt-Enter, Alt-PgDown to remove the redundant XAML. I keep pressing Alt-PgDown and remain with the XAML. I switch to the code befind (pic 3) and press Alt-PgDown - it tells me there are No warnings or Suggestions found in this file and will not move to the next redundant code. Let me know if I can clarify this further. do you have any instant messenger? it would be much more efficient to nail down your problem.